There is not person that does not like the sight of flowers. 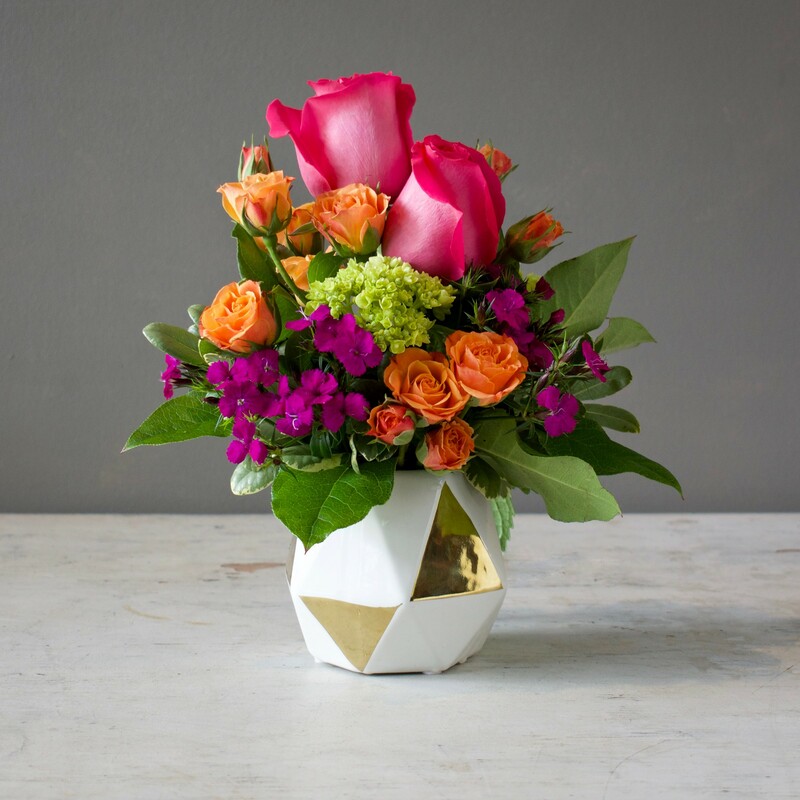 You can put some colourful flowers in the centre of your table in a beautiful vase and make it look beautiful with minimal effort. 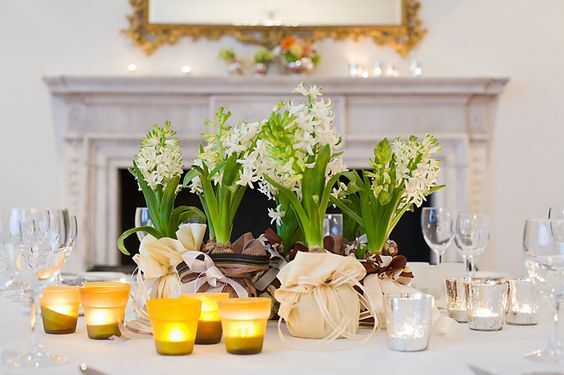 You can use a theme for your management in flowers or simply bring a lot of varieties of flowers and put them up in a bunch and make your table look really very beautiful so simply. The flowers will not only bring color to your table but also add a purr and fresh fragrance to your room so there will be no need of fresheners or room sprays. Candles are the attraction in any room and at any place. 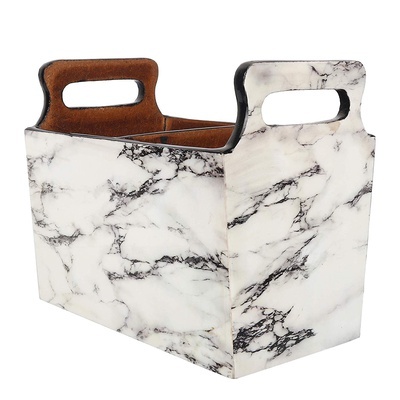 you can put them in a spoiled corner of your room and make it look great in a second. Your tables are the attraction of room and putting candles there will make them look more extravagant. 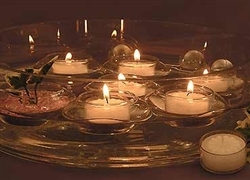 Add a lot of floating candles in the centre of your table in a water filled bowl. The reflection of the candles in the water will look really stunning and you can also use scented candles which will look quite beautiful. Colourful candles will also look great although white candles or red candles will go more with the theme of Christmas. If you want to decorate your round dining table, then a cutlery stand in the middle will look really beautiful. Not only it will be bale to decorate your table but you can also use it so it has utility as well as decoration purpose and it will look great right in the middle of your table. 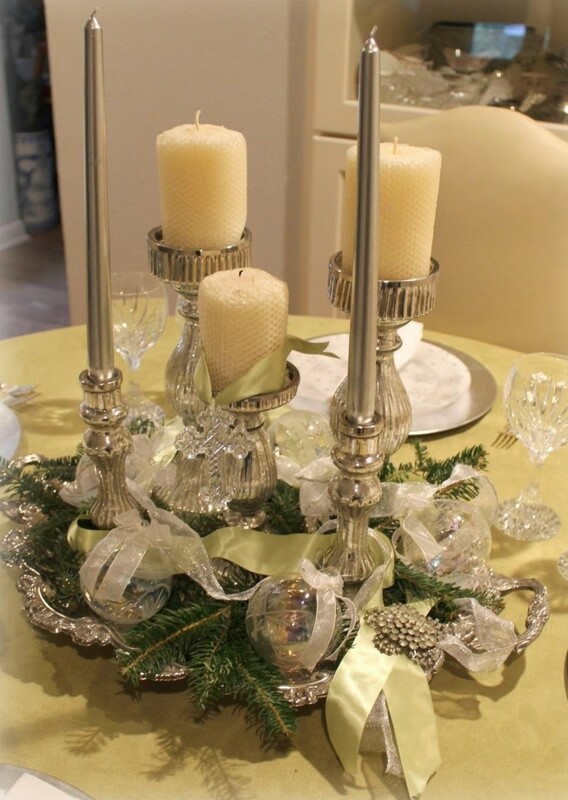 You can go for fancy stands instead of simple ones to enhance the theme of the Christmas. If you want to keep it simple and still pretty, you can add a few plants in a can and set it in your tables right in the centre. It will make your room look really very pretty and very basic also. You will also be able to turn yourself a little eco friendly with this setting and the fragrance and the color come just like in the case of flowers. Your guests are going to be so impressed with this unique idea. However, just like the flowers, the plants will also be needed to have an accurate amount of maintenance so that if you set them at a place where you have to eat, the place remains clean and tidy. Of course, it is Christmas and you would want to do something that will exaggerate the theme of the festival. 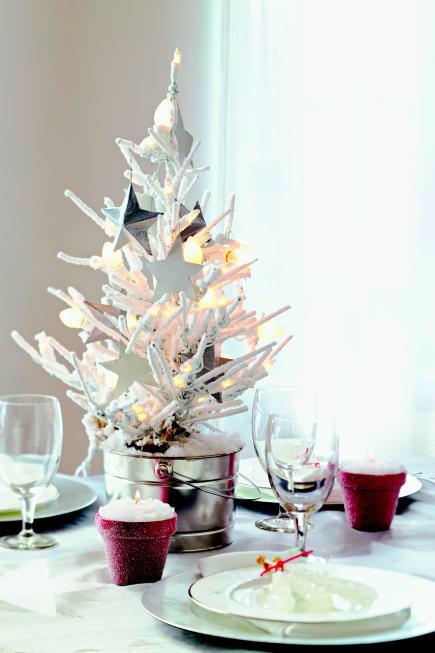 To boost up the theme of the day, simply you can put up a beautiful mini Xmas tree right in the centre of the table and add lots of mini accessories to it to make it look quite appealing and wonderful for your entire table and to gracefully uplift its look. This is one of the best ideas to decorate your table and add as a centre piece. It is very basic and suits the theme of the day. You can add candles to your table by using candle sticks as well. They go very well with the theme of the Christmas. You can use golden or silver colored candle sticks preferably as they go with the overall theme and add a lot of bright and lit candle stothe theme which will make the table look quite and attraction for the room and all the people who see it. A two-storey cookie table or stand in the middle of your table is going to make a great choice. The guests are going to love it especially the kids. 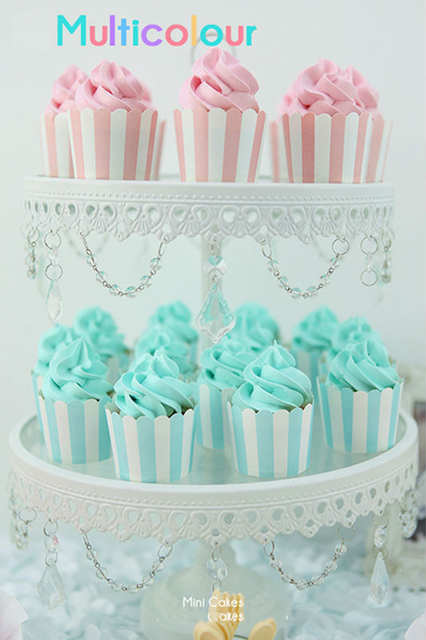 Not just cookies, you can also put cupcakes in one of the floors of the stand and something else in the other. You can also buy one of the stands which have a hollow in the middle for some lollies and candies to stand. This is going to make one wonderful centre piece if you are going to have people for dinner, or a high tea, or children at your place as they are going to love this arrangement and appreciate it a lot. If you have got bored with the usual candles, you can always use some other way to lighten up the middle of your table. You can use some artificial lights or LEDs and set them up in a basket or a bunch and add them to the centre of you table and make it look pretty. The lights will work just like the candles;however,they are going to last longer and need no maintenance at all. 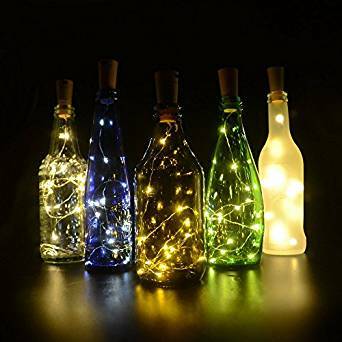 You can bring in a lot of colors to your table with them and also, they will glow ell to enhance the theme for your precious festival. Christmas is an extremely important time for you and your family and friends. If you are also going to have a lot of people coming and going in and out of your house, it is a must that you keep your house all decorated and lit up with fancy and appealing decorations. These ideas will help you get the most out of what you can bring and still enrich your homes and especially your tables quite a lot. Have a great Christmas people. Merry Christmas!